The Green Cornwall, 5 star luxury wedding venue. As you coast gently downhill from the granite-speckled heights and wild, sweeping contours of Bodmin Moor, the open expanses give way to rolling dense woodland. In a wonderfully secluded spot, where lush hills tumble into the idyllic river valley below and a picture-perfect patchwork of orchards and meadows cloaks the horizon, you’ll find The Green. Your ready-made wedding village – wholly private and an endlessly pretty place to get married. 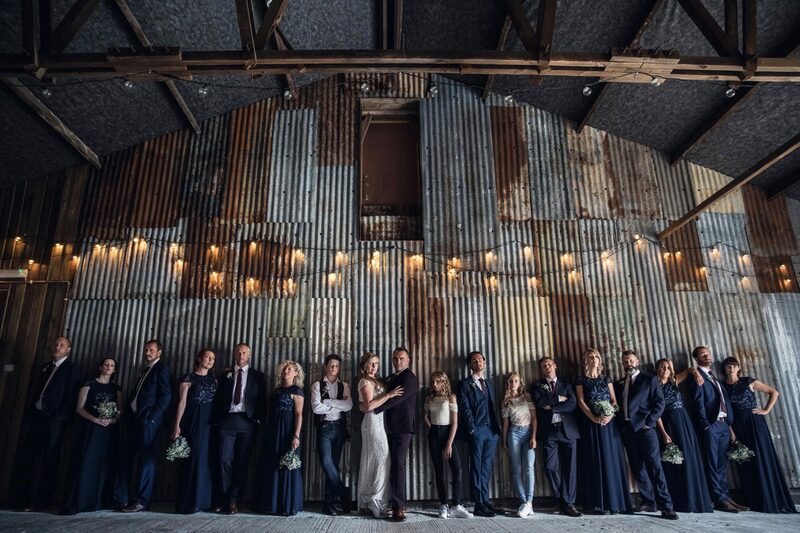 Whether you’re after a large-scale traditional affair, a cosy DIY country celebration, a wicked elopement or a laidback festival-style party, our professional team will make sure it all goes smoothly. Have the whole place all to yourself! The venue was amazing, we had cottage one for us and the house for our guests. We couldn't have asked for a better place to get married. Kate looked after us on the day and she was brilliant, even having to move things to the beautiful indoor option when it decided to rain at the last minute. It brightened up after the ceremony so we did get our fabulous photos by the Lake Arbor. The food was superb, better than we could have imagined. Thanks to all the staff involved you were all amazing! When we found The Green online we had to go and view it... we then booked our wedding date that same week after our first visit! We got married last month at The Green and it was beautiful. The views and atmosphere of the whole place is so lovely and relaxing - just the feel we wanted for our wedding day. The months leading up to our wedding we were kept informed with everything and the taster day we went to was great. We had the most perfect wedding weekend here, the amazing weather was a bonus. Thank you to everyone at The Green for helping to make it our best day ever! WOW! What an experience we had. Its such a magical place full of natural beauty and charm. We decided to have our Wedding at The Green when we first viewed it a year before our big day. 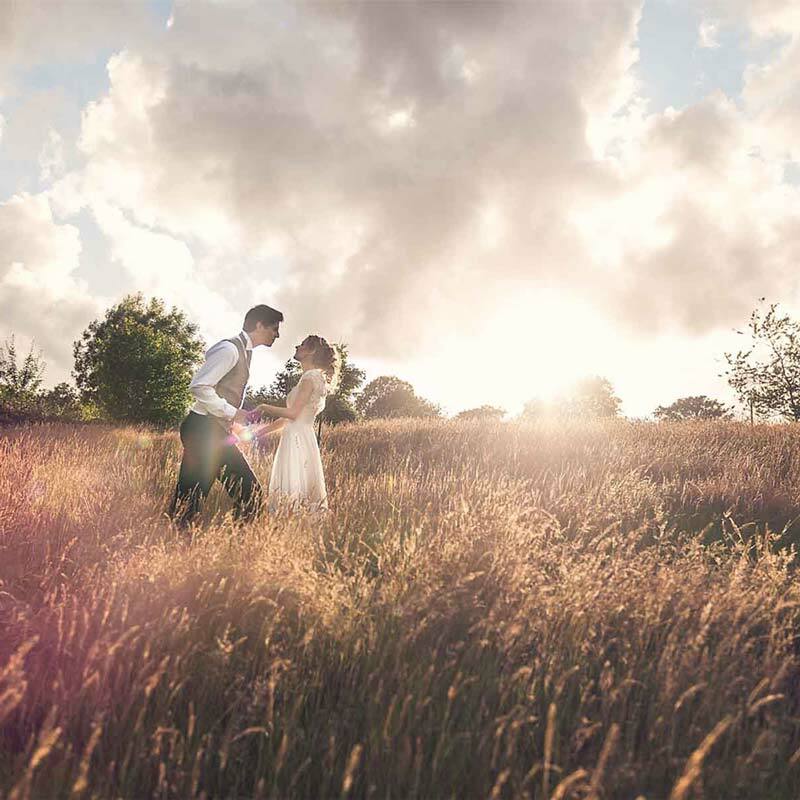 We were bowled over by the location and its outdoorsy natural feel, we felt the venue suited our personalities straight away.  The staff were extremely helpful and friendly, they didn't hound you at all but gave you the right amount of support when you needed it. The Green had really thought of everything and it was all the small touches that really made them stand out. All of our guests were raving about the venue for weeks afterwards saying how well laid out it is and how convenient it was for some of our elderly and less able guests, with wheel chair access and disabled toilets so close to everything. They have thought of everything. When our guests began to arrive with smiles on their faces and drinks in hand the whole place came to life. Thank you for everything you did to help us design the Best Day and create lasting happy memories. From the moment we arrived I knew we'd booked the right place for the wedding, we booked all by phone with the helpful team at the Green. We wanted a low key wedding that was dog friendly and the Green was perfect, stunning, relaxed and well organised. The weather wasn't quite going our way but Fiona the wedding coordinator was calm and had us prepared for whatever the weather! Thank you so much for a stress free, relaxed wedding that we will treasure forever. We decided to elope & fell in love with The Green. The location firstly is glorious; so quiet, so green and well away from the real world! From the moment we arrived we were looked after so well. She explained about how things were going to run the next day & everything was covered in detail and we had no questions or worries. The weather was glorious and we were incredibly lucky to have the entire place to ourselves. On the day of the wedding we got ready in our own time and Charlie was a wonderful friendly beacon of calm professionalism who knew exactly how the day would run and calmed our nerves immediately. The lake arbour is absolutely stunning and the setting is so magical. Thank you to all the staff for helping our elopement be just what we wanted and more. Our wedding was in February. 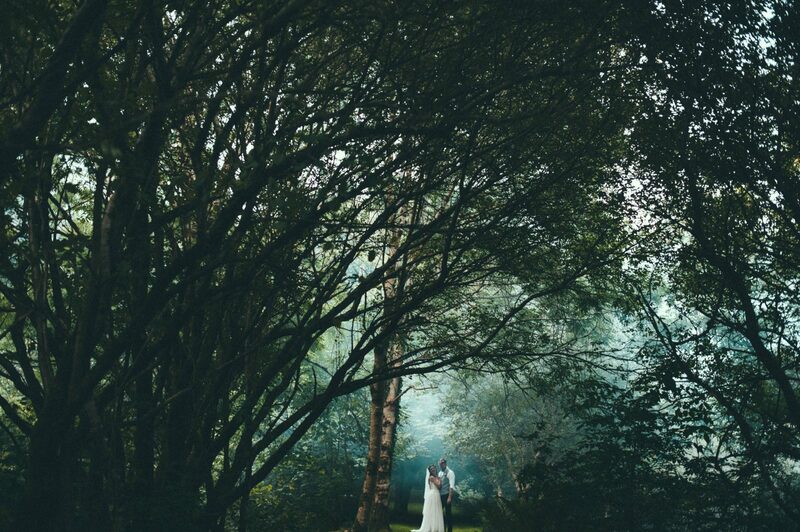 We viewed The Green on a wet misty summers day with the idea of a winter wedding. We thought it would be the perfect setting, as it looked lovely on that day with lots of space if it was wet. We didn’t even entertain the idea of snow on our wedding day. Luckily for us The Green are very organised, this was one of the things I liked throughout the planning. They were only an email away and Michelle was very efficient in her response. The taster day was lovely and it was great to sample the delicious food and look around again. The day before the wedding with snow forecast we met with the team at The Green, they put our minds at rest that the day would be brilliant which meant we could enjoy decorating and welcoming our guests. As the forecast predicted the snow came making our day magical and Kate and the team were fabulous. We felt the day was all about us and it ran smoothly thanks to their hard work. The Green was an amazing place to get married, it was beautiful and everything was perfectly organised on the day. The food from the chef was just exquisite, definitely a meal to remember forever, the best steak I’ve ever had!! Kate our wedding planner was so lovely and made sure everything went smoothly doing whatever needed to be done including keeping our dog calm when it was photo time! It was a perfect day in a perfect place, the lake arbor is such a beautiful location to be married and our photos really show this as well. Thank you to everyone at the green for an amazing day! Wow what an amazing place! We decided after having our little girl it was time to tie the knot so we decided to run away just the three of us and get married. We really couldn’t have picked a better place! We didn’t visit the venue it was all booked after reading the reviews and trust me you won’t be disappointed if you do the same.The attention to detail by the staff is second to none no matter if it’s a huge wedding or just the two of you we couldn’t have felt more special and looked after on our big day. We got married in the wedding barn amazing and beautifully decorate. On the evening we had a private chef come and cook for us what a real treat! We had the most perfect day thanks to the team exactly what we wanted we can’t thank you enough. So if you're brave enough to elope you won’t be disappointed. Everything about this beautiful wedding venue is perfect. The house is gorgeous, I would of happily moved in! 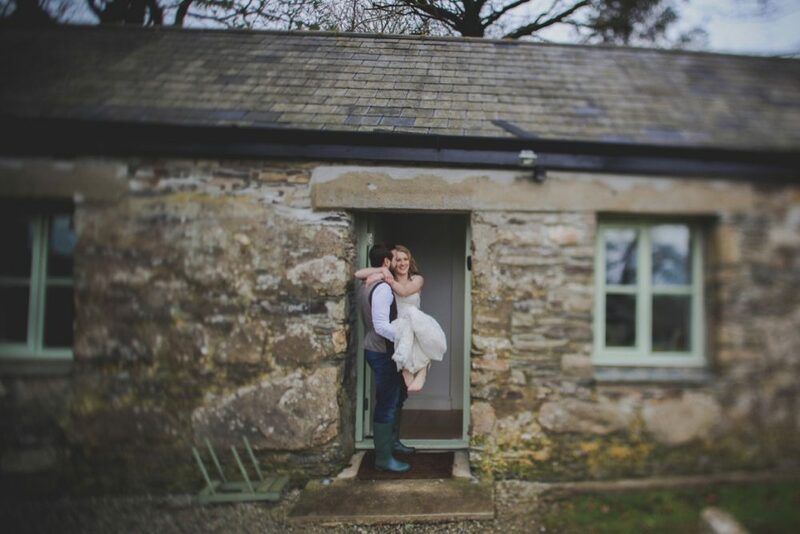 The little barn was stunning and even without our little personal touches it looked cute and romantic. The chef was amazing, the food was delicious and the service was very friendly! Michelle, Charlotte & Fiona were all great from the day we contacted The Green regarding our intimate wedding! We couldn’t of picked a better venue. We cannot thank you all enough for a perfect seamless day and we will certainly be back on anniversaries! My beautiful wife and I decided to elope instead of having a big wedding. We booked this amazing venue on the strength of their website which is excellently set out and easy to navigate. We decided to have The Green provide our photographer and witnesses for us. We couldn't have been happier, the cottage we stayed in is beautiful as are the general surroundings. Once we had settled down Charli (one of the truly fantastic staff members) showed us around the venue and gave us great advice. Everyone who worked there and who was involved in our day couldn't have been lovelier. I cannot rate The Green and it's wonderful staff highly enough, our wedding was perfect for us, but I feel no matter how you want to do it, they will do everything they can to make your wish come true. Having decided on an elopement wedding we searched for a venue and found The Green and we are so glad that we did! From our very first enquiry the staff were all amazing and helped to make planning our wedding so easy and stress free. The recommendations we were given for local hair, make-up and photographer were perfect, the accommodation and grounds exactly what we had hoped for. 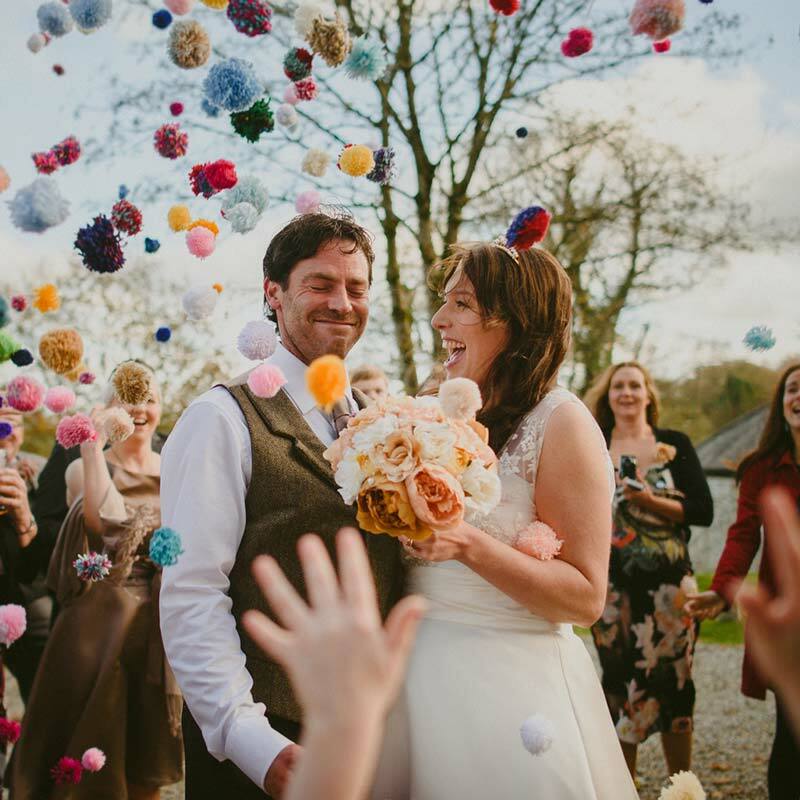 We loved getting married in the barn, complete with fairy lights and bunting and, as we were lucky enough to have a beautiful sunny day, even at the end of October, we were able to make full use of the grounds for our wonderful photographs. We finished our day with a fantastic meal cooked for us at the cottage. We really wouldn’t have changed a thing. Thank you so much to everyone who helped to make our wedding day so very special - it was absolutely perfect. My brother got married here last weekend, what a stunning venue, staff on site and absolute immaculate attention to detail from them, fabulous farmhouse with accommodation, beautiful weekend from start to finish. From the moment I first contacted The Green, they were professional, friendly and helpful. We are not from the area and they recommend photographers and wedding cake makers, which we found so helpful. They always answered any questions we had in a timely manner and welcomed us when we visited the year before. The location is just stunning, rolling green hills for miles! Accommodation was great, fully equipped kitchens. Didn’t need to ask for anything. When we arrived for the wedding the day before, they met us and talked through how the day would go, which helped to put us at ease. On the day we were looked after by one person, it was nice to have her there if we had any questions. We had our wedding breakfast in the house. The catering staff were great. Food was beautiful. We didn’t need to lift a finger! Cannot fault The Green! From start to finish they made it all perfect for us! Our families loved it too. We got married here on 20th Feb 2018 & couldn't have asked for more. Everything was perfect & we were both completely happy. From the wedding itself, the photographer & the chef cooked meal, it was all wonderful. The place is totally stunning & the pictures don't do it justice, we didn't want to leave. We would recommend it to anyone. A massive thank you to all the staff for making our time there so unforgettable. From the moment we arrived at The Green to view it I knew we would tie the knot here. The setting is idyllic, calming and romantic. We were greeted warmly and it was so perfect that we booked it there and then. Throughout the planning Michelle was great, guiding us through and making sure we didn't overlook anything. Our taster day was a fantastic. We had 70 guests for dinner the evening before which went so smoothly, giving us a relaxed space to catch up with people the day before knowing we were in safe hands. On the day Kate was a wondeful calming influence and was there to advise and solve. Our meal was sublime. The staff were fantastic, helpful but also completely discreet so you barely noticed you were being so thoroughly looked after. 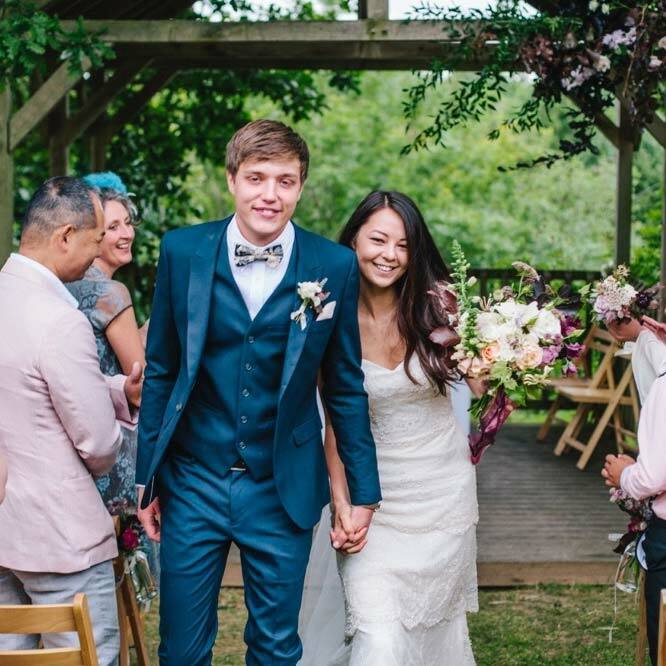 Some tricky dietary requirements were expertly catered for with no fuss.We had the most wonderful wedding weekend at The Green and we cant thank the team enough. Having decided on an elopement wedding we searched for a venue and found The Green and we are so glad that we did! From our very first enquiry the staff were all amazing and helped to make planning our wedding so easy and stress free. The recommendations we were given for local hair, make-up and photographer were perfect, the accommodation and grounds exactly what we had hoped for. 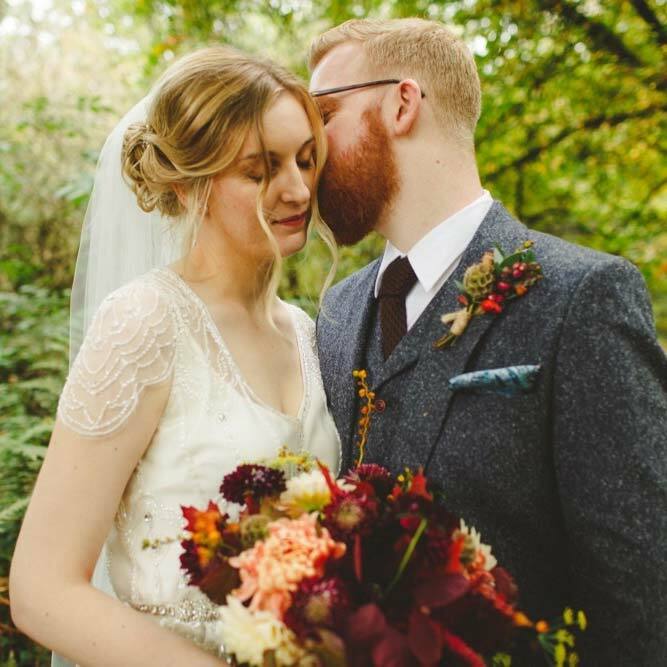 We loved getting married in the barn, complete with fairy lights and bunting and, as we were lucky enough to have a beautiful sunny day, even at the end of October, we were able to make full use of the grounds for our photographs. We finished our day with a fantastic meal cooked for us at the cottage. Thank you so much to everyone who helped to make our wedding day so very special. Me and my partner eloped here a few days ago and it was one of the most perfect days of our lives Everyone was so kind, professional and helpful... our day ran like clockwork! Our cottage, the surroundings and the barn were simply beautiful. We were just so with everything! The 3 course meal made by Tom was delicious and the best food we’ve ever had!! We are only sad that we can’t do it all over again!I can’t speak for big weddings but this is definitely the place to go if you want an elopement wedding tailored to you! The biggest sincerest thank you to all the wonderful staff especially Charli! We went to the green for our sons wedding in December 2017. Wow. It was beautiful. I don't think you could find a better venue to get married if you tried. We stayed for 2 days. The accommodation was 1st class. They have everything you need. They even had tea coffee sugar and milk waiting for you. The beds were very comfortable and everywhere was warm. The grounds are beautiful. We all gathered in the big house on the eve of the wedding and started the celebrations early. The wedding itself was perfect in every way. The staff were fantastic. The food was gorgeous. I cannot find anything wrong with the place. I wish we could do it all again as it was so perfect. The photographs were beautiful. I would recommend this venue to anyone. A beautiful venue, lovely accommodation, yummy food & a friendly and very organised team. Michelle was on hand throughout the whole planning procedure to answer any questions that popped up along the way & Charlotte the events manager was fab and because of her we managed to get the perfect photo on the day with an amazing rainbow! 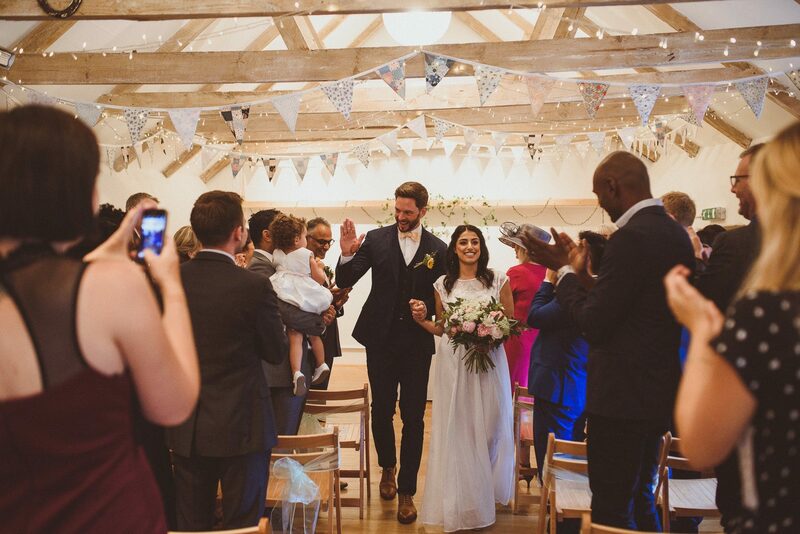 Our day went so fast we can't believe it's been a week already! wish we could of stayed longer! A great venue for all weathers and very little decorating is needed as it's all ready stunning. Would definitely recommend it to anyone looking for somewhere to get married and hopefully we will be invited to a wedding here so we can come back again!